← USA Sent Out ‘Defcon 1’ Alert To US Public TV – Biggest US Threat There Is! This is Raymond Burse and I will tell you why he is the “Hero of the Week.” He is a very bright talented man who gained publicity when he was chosen a Rhodes Scholar during his academic years, studying Chemistry at Oxford University. On returning to the United States, he studied and graduated from Harvard Law School. He later worked and excelled as an executive at General Electric in the appliance section. Now he is the interim president of Kentucky State University. I think we can all agree that Mr. Burse is an impressive man. Now he has chosen to make a statement to improve the lives of his new family at Kentucky State University. On his second interview for interim president, he surprise the members of the governing board by announcing his intention, if chosen. His plan was to increase the minimum wage of the lowest paid employees from $7.25 to $10.10 from his own salary. This was a cut in salary for him of $90,000 ! He is a very humble man who is quick to say that his pension from GE enables and fuels his generosity. Mr. Burse says he wanted to encourage all the members of the University family to feel that the sky is the limit and feel they are both valued for their work and invested in the family. Mr. Burse grew up as a very poor boy in rural Kentucky. He has made minimum wage and has family who have as well. He has dreamed and lived the American Dream of hard work leading to success. Now, Mr. Burse is working not only to restore fiscal responsibility to Kentucky State, but to pass along his dream , not for himself this time, but for his new family ! Without a doubt, he is a hero ! This entry was posted in Uncategorized, USA and tagged American Dream, blogging, education, generosity, Harvard Law, humility, Interim President, Kentucky, Kentucky State University, kindness, poverty, Raymond Burse, Rhodes Scholar. Bookmark the permalink. 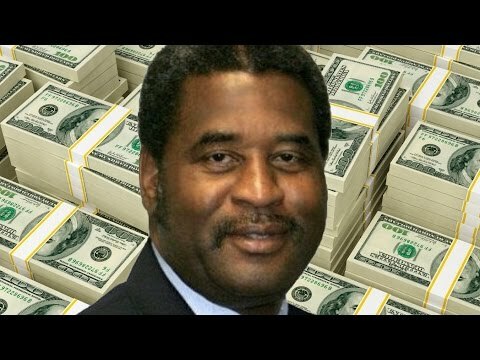 Pity the ‘American Dream’ stories are not full of more ‘Raymond Burse’ type people and not greedy people taking, knowing another is on the street begging for food. Yes, and you in Scotland have a prime example of a generous leader in former First Minister Alex Salmond who give 1/3 of his salary to the poor because he feels that public servants should serve the people and not be paid such huge salaries. . What a wonderful idea ! Thanks Shaun !